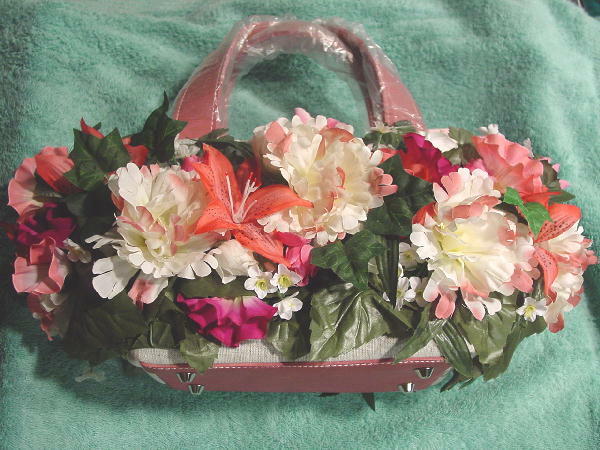 This never-used purse is covered in silk flowers on a light multi-toned gray fabric. 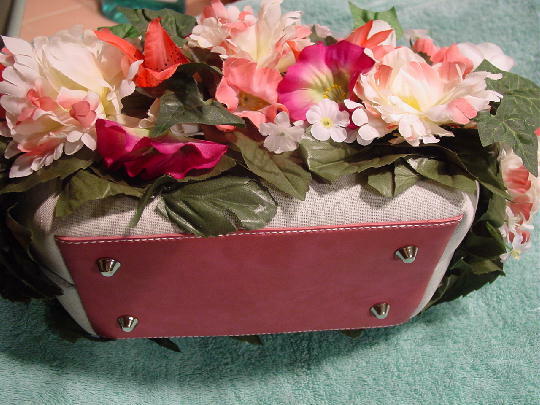 The two handles, panels, edging, the top zipper, zipper pull and tab, and the bottom are in a dark pink. The bottom has four silver-tone feet. 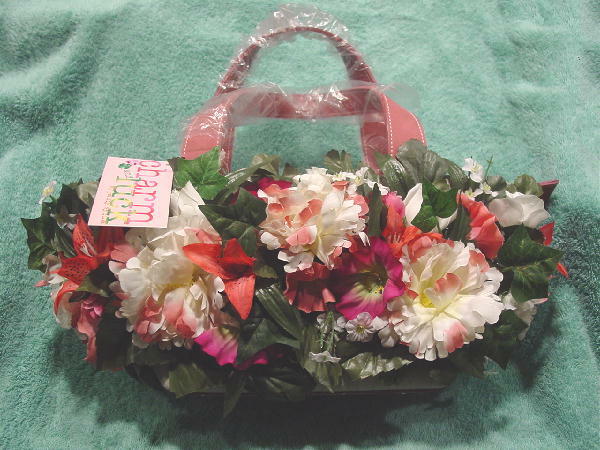 The flowers are in white, pinks, magenta, peachy-coral, and yellow, and the leaves are in various shades of green. 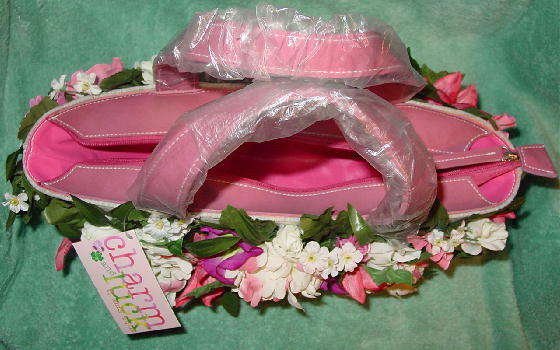 It has a bright hot pink faux leather lining and two interior connected open pockets. The interior tag says man-made leather inner lining and handle, 100% cotton outer lining, exclusive of flowers Made in Philippines. A New York model got it as a present.